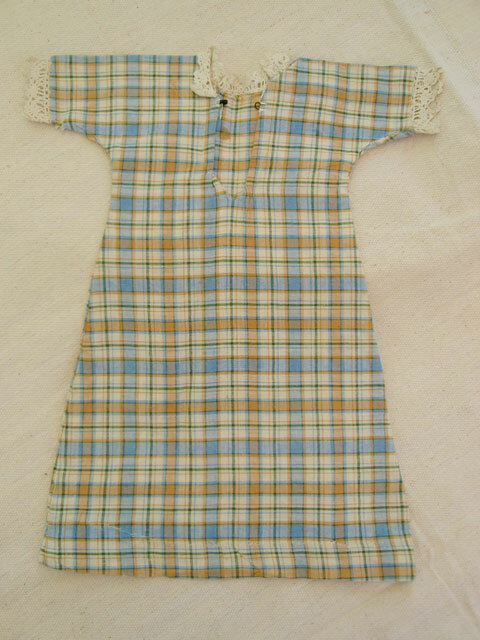 This is a sweet and very plain doll dress. Measuring 12 inches long, 5 ½ inches across the shoulders with an arm opening of 2 inches, it is in excellent condition with no holes rips or tears. 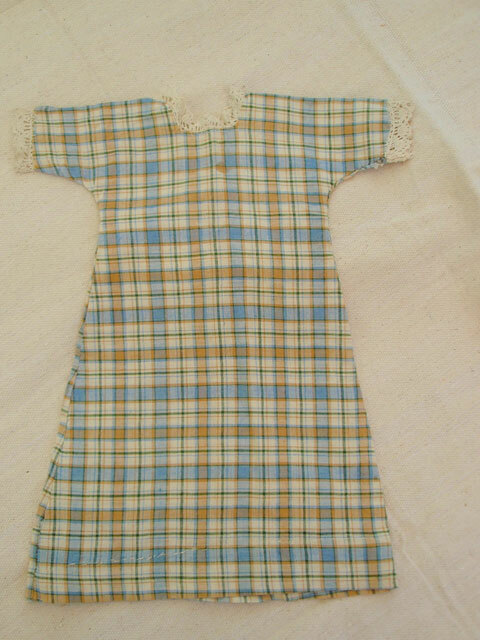 Fashioned out of a cotton plaid, it entirely hand sewn. The neck and arms are embellished with a cotton lace decoration and there is a hook and eye closure on the back.